Sadly, yes, this is based on a real conversation I had with someone who believes “nobody” actually reads science fiction. Apparently I don’t know my market and there’s not really anyone reading the hundreds of magazines that accept stories like mine. 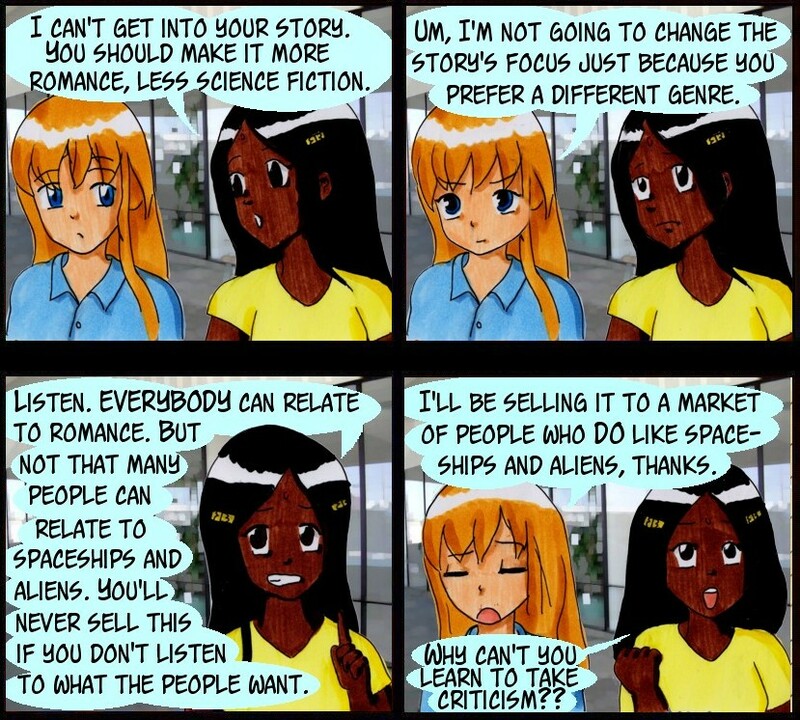 Not to mention that “everyone” doesn’t exactly relate to romance, thanks. I did not apply your “criticism” because you were completely wrong about who I’m writing for, not because I can’t handle feedback. Thanks.